Play ball? 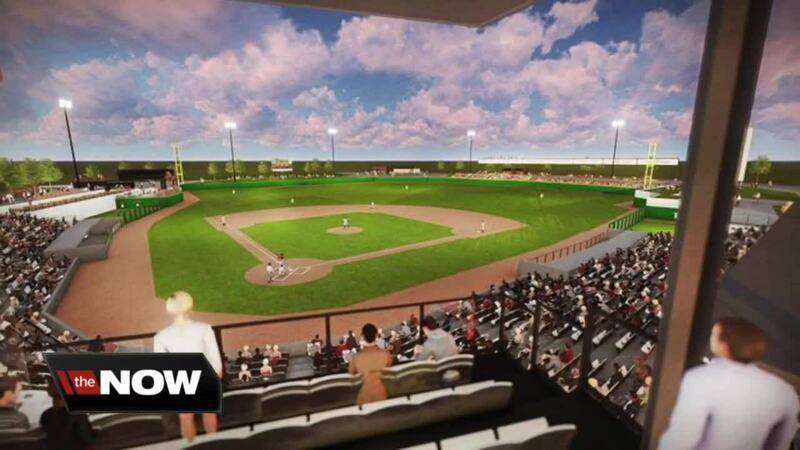 Not so fast for the Milwaukee Milkmen at their soon-to-be home field. A rough winter is delaying the home debut for Wisconsin's newest pro baseball team. We're six weeks away from when the Milwaukee Milkmen were supposed to play their home opener at the Franklin Ballpark Commons, but the park is nowhere near ready for baseball. The Milkmen's home opener is delayed by a month which is no surprise when you see the footprint of their stadium still in progress. Construction crews are now racing the clock assembling the grandstands, press box and dugouts for the 4,000 seat stadium. Crews are trying to make up lost time from a brutal winter. "It started out well and when January and February hit, the bitter, bitter cold, we had a lot of snow as well," ROC Ventures Entertainment Director Jim Rinelli said. "When it's that cold you can't get a lot of construction done." Rinelli said the polar vortex cost the minor league team about a third of its home games which are now scheduled to be played in Kokomo, Indiana. "It's very disappointing. The entire ownership group, we're all disappointed, we were all looking forward to that May 24 date." Altogether the $130 million multi-purpose expansion next to The Rock Snowpark will include restaurants, retail, a golf range, an indoor soccer facility, apartments and a senior living center. While ROC Ventures is bummed their centerpiece is being put on hold they want all the amenities in place for the team's new fan base. "We want to make sure concessions, bathrooms, the whole in-game experience was ready to go." The first in-game experience at the Franklin Ballpark Commons is scheduled for June 24.